Healthy Fats: needed for heart and cardiovascular health, optimal brain function, and energy. Here are eight of the more popular Power Foods that should be on your grocery list! 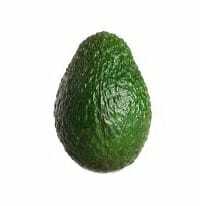 Avocados are often referred to as “alligator pears” due to their shape and green choppy rind that resembles the texture of alligator skin. Did you know that per serving, avocados contain a higher amount of potassium than bananas? A 100-gram serving of bananas contains 358 mg. of potassium, whereas a 100-gram serving of avocado contains 485 mg. of potassium. Potassium reduces blood pressure in people with hypertension and studies show that it may also lower the risk of stroke by 24%. Avocados contain oleic acid, a monounsaturated fatty acid that has been shown to reduce inflammation and possibly reduce the risk of many cancers as the phytochemicals in avocados have been found to inhibit the growth of precancerous cells. Did you also know that eating avocados helps your body to absorb the nutrients in other plant foods, specifically fat-soluble nutrients such as Vitamins A, D, E, K, lycopene, and lutein? Yep, it is true! A study published in Int J Circumpolar Health, 2013 found that blueberries have the highest antioxidant level with wild blueberries ranking the highest! 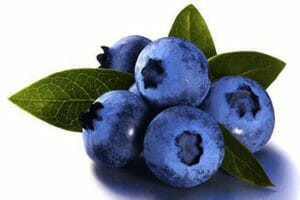 Blueberries help protect against age-related macular degeneration. If you are interested in reading more amazing information regarding the health benefits of blueberries, check out The Bountiful Benefits of Blueberries! Cranberries have a high concentration of anthocyanidins, antioxidants that have been shown to inhibit the development of atherosclerosis, cancer and other degenerative diseases. The deeper the color of the cranberry, the higher the concentration of the anthocyanidin pigments. 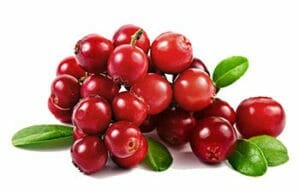 Most of the phytonutrients are contained in the skins of the cranberries. Antioxidant levels decrease when cranberries are juiced, processed or dried. Cranberry juice with added sugars and artificial sweeteners have the lowest level of antioxidants. Cranberries are well known for their ability to treat and prevent urinary tract infections. They are loaded with phytonutrients, including proanthocyanidins, which have been shown to prevent certain bacteria from attaching to the lining of the bladder and urinary tract. It has been reported that the use of cranberries is most effective in treating women with recurrent urinary tract infections. Read More HERE. Researchers at the University of Rochester Medical Center found that the proanthocyanidins that may prevent urinary tract infections may also be beneficial in treating gum disease by preventing bacteria from binding to teeth. The anti-inflammatory properties of cranberries can also reduce inflammation around the gums thus lowering the risk of periodontal disease. Cranberries also contain the antioxidant quercetin which adds to the beneficial effect of cranberries on cardiovascular health. Low in calories with a high nutrient content makes it a very sought after vegetable in Asian cuisine. 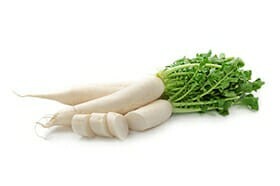 The Daikon Radish is a white winter radish grown mainly in Southeast and East Asia. It can be found in Asian markets and some mainstream grocery stores. It is considered a cruciferous vegetable and thus its leaves have the same benefits as the other more common vegetables in the cruciferous family. In Asia, the root is pickled and the vegetable is used in salads, soups, curries, rice dishes and more. It has been found to be a natural expectorant and promotes respiratory health. It possesses similar enzymes to those found in the digestive tract and supports proper digestion, reduces constipation and helps nutrient uptake efficiency in the intestines. It also aids kidney function as it is a natural diuretic. The high concentration of Vitamin C in its leaves enhances the immune system. It is also a rich source of Calcium which contributes to bone health and is known to possess anti-inflammatory properties. Interested in reading more about the health benefits of Daikon including its anti-cancer properties, immune system enhancer, and digestion aid? Then you’ll want to read 5 BIG Reasons to Include Daikon in Your Diet! 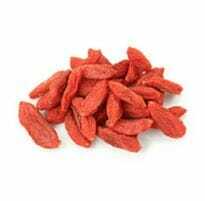 Goji berries, also known as wolfberries, are bright orange-red in color and come from a shrub native to China. They can be eaten fresh, cooked or dried. Goji berries are extraordinarily rich in antioxidants that help prevent cell damage and lessen your risk of cancer and cardiovascular disease. The Vitamin B2 (riboflavin) contained in goji berries is important for glucose (sugar) metabolism, and the health of eye tissue, skin tissue and the mucous membranes of the respiratory system. In Traditional Chinese Medicine (TCM) it is believed that goji berries strengthen the kidneys, balance the body and possess anti-aging properties. TCM practitioners find that they are beneficial for those with diabetes, liver disorders and high cholesterol. Now all of that is pretty awesome on its own, but did you know that there just might be a link between eating Goji berries and longevity? Find out more HERE! Listed as a “super food” because it is one of the most nutrient-dense foods. There has been some concern triggered by those who claim that Kale can cause hypothyroidism. However, research does not support this claim as a blanket statement. It is true that Kale contains goitrogens which compete with iodine for receptor uptake within the thyroid. 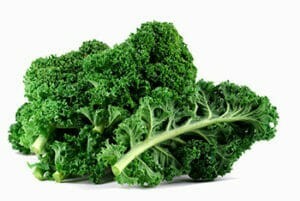 So technically, a diet low in iodine and high in Kale could cause a problem with the thyroid. It is not surprising that spinach is among the vegetables listed as a superfood. Historically it was known as a food with the ability to restore energy, increase strength and stamina, and improve the quality of the blood. It is loaded with a variety of flavonoid and carotenoid compounds that have been proven to have anti-inflammatory properties. It is also one of the most alkaline-producing foods and a healthy pH is a necessity for a healthy immune system. If the body is in a highly acidic state, its ability to absorb nutrients and repair damaged cells will diminish, allowing bacteria, viruses, parasites and yeasts to flourish. When the body is in a more alkaline state it is better able to heal itself. Multiple studies have shown spinach to be effective in combating many cancers, including breast, ovarian, and prostate. 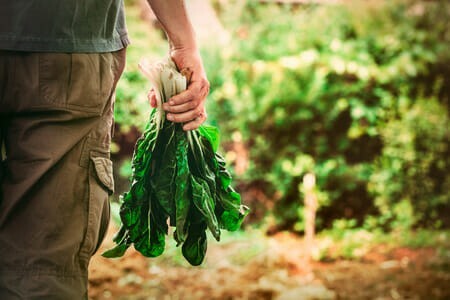 The anti-cancer properties of spinach have been dramatic enough to prompt researchers to create specialized spinach extracts to be used in clinical studies, and the National Institute of Environmental Health found that spinach extracts administered both orally and topically had the ability to reduce skin cancer. Spinach contains the antioxidants lutein and zeaxanthin which have been shown to promote healthy vision and prevent macular degeneration. Eating raw or lightly cooked spinach provides the most nutritional benefit. 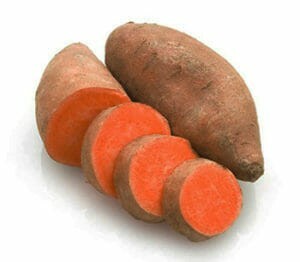 There is much research showing that sweet potatoes possess anti-inflammatory and other disease preventing properties. This means that the sweet potato was very effective! To find out more about Sweet Pototes, including whether they are safe for diabetics, the article Sweet Potatoes Are More Than Just An Ordinary Spud is something you should read. So, are any of the foods listed a part of your regular diet? If so, which ones and why did you initially incorporate them into your diet? Have you created any inspiring recipes using these Super Foods? Now, this article only lists a few of the many Super Foods that can significantly boost your overall health – can you name a few more? I would love to hear from you so please share your comments! Great article. I’v eaten and love all theses foods. Except we never ate goji berries or daikon. I didn’t know you could put spinach on your skin cancer. I will tell my dad about that. We eat all the cancer fighters. We didn’t know you could wear them. Thanks. Powerful Foods has a direct impact on health. To maintain healthy lifestyle enhancing and disease preventing properties. Eating anti-aging food is the best choice because it will give you the essential nutritive elements to your skin that give the energy to the tissue. It will boost your youngness and help maintain the skin texture and firmness. It will also boost the functioning of the different organ system normally. 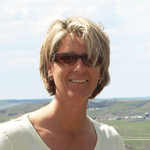 I have found an article entitled “9 Foods To Overcome Aging (Ultimate Guide with Ultimate Details)” at zovon.